A 70-minute interview from 1995 featuring the late Steve Jobs and the journalist Robert Cringely was presumed lost, but has since reappeared, and will be shown as a limited theatrical release in November. The interview will screen at select Landmark Theatres locations at 19 U.S. cities on Nov. 16 and 17 as "Steve Jobs: The Lost Interview." The Palo Alto Aquarius theater will feature an extended 7-day engagement from Nov. 16 to 22, Movie city News reports. Originally filmed for the "Triumph of the Nerds" PBS miniseries, the interview was thought to have been lost after the master tapes went missing during shipping. Less than 10 minutes of footage were aired during the series. But, in October, a VHS copy of the interview was found in London and has since been enhanced and restored. The footage is billed as the "best TV interview Jobs ever gave." It is especially well-known for containing a section where the late Apple co-founder strongly criticizes Microsoft. Mark Stephens, the journalist who is usually known by the pseudonym Robert Cringely, was one of the first employees at Apple after having met Jobs and Apple co-founder Steve Wozniak at the Homebrew Computer Club in the 1970s. The Cringely moniker began as a column in Infoworld in the 1980s. Cringely describes the interview as "a moment in time" because it captures Jobs during his so-called 'wilderness years.' NeXT, the company that Jobs founded after being ousted from Apple, as well as Apple itself, were in trouble in 1995. 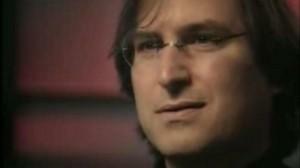 In essence, the interview offers a snapshot of Jobs just before his now famous comeback at Apple. In the wake of his death, Jobs has been the subject of several documentaries and TV specials, some of which contain unaired footage of him. An authorized biography on him was also released last month. 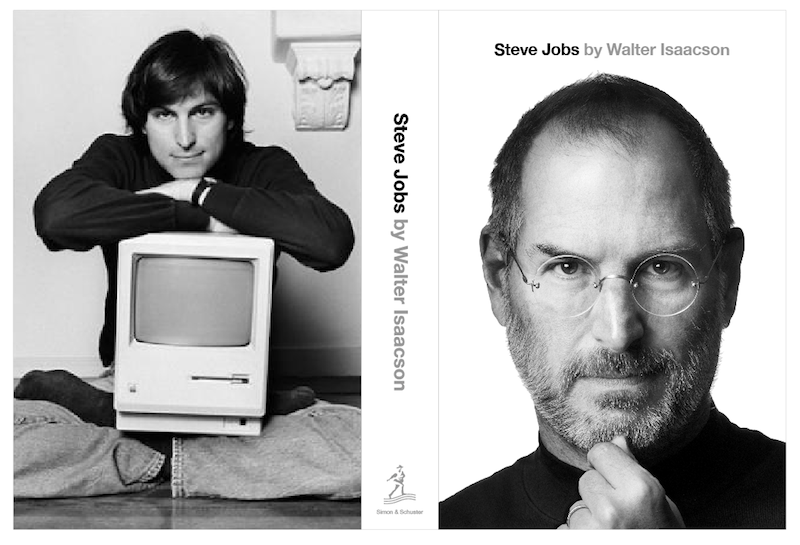 Culled from dozens of interviews with Jobs, the book offers numerous insights into Jobs' life and philosophy. The title has already topped best-seller lists, selling 380,000 copies in the U.S. during its first week. Sony is reportedly looking into producing a film based on the book. Screenwriter Aaron Sorkin, who wrote the script for Academy Award-winning "The Social Network," is said to have been approached regarding the project.